Who’s Game for Arena and Stadium Curtains? Lately, we’ve been thinking big. Really big. Like, arena big. These thoughts took us all the way to Kansas, where there is no place like…Wichita State University (WSU). 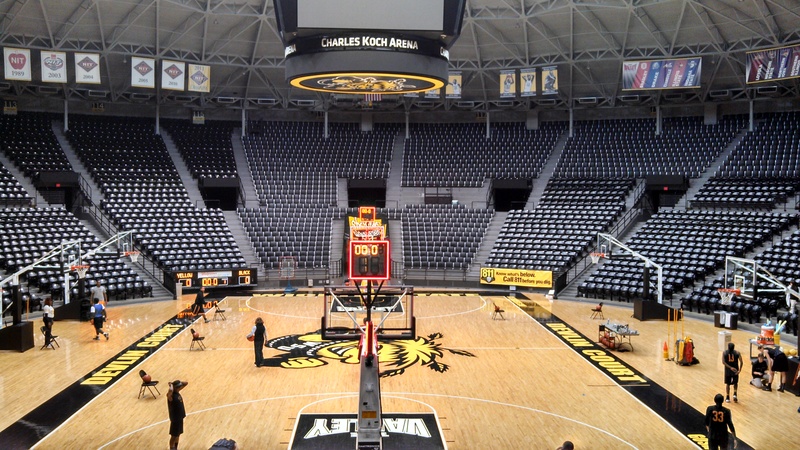 We were happy to outfit WSU’s Charles Koch Arena with curtains, curtain tracks, and drapery hardware worthy of the Shockers. Curtains probably aren’t the first thing that springs to mind when you think of heading to an arena to watch a basketball game or concert, or to a stadium to watch football, but they can be very useful in these venues. Arenas and stadiums can be cold, hard, intimidating, places (especially to the visiting team), and they certainly don’t create an environment that is crying out for soft, decorative accents, but the right kind of curtains and curtain tracks have a place here. A colored or patterned panel in the right place can brighten up a drab, dark area, and may even improve school spirit (team colors anyone?)! 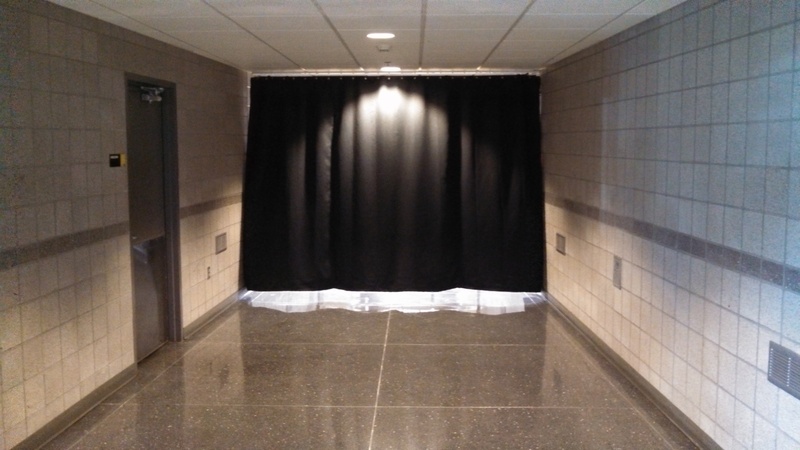 Long, heavy panels can be used to create a virtual wall to help direct foot traffic, contain sound, or to cordon off an area for players or VIPs. If your venue, like many arenas and stadiums these days, doubles as a theater when big acts come to town, these curtains can be used across the entryways to the seating area to block the light coming from the concessions area, so that a hot dog sale will never interfere with a guitar solo again. Arenas and stadiums need tough curtains, tough curtain tracks, and tough drapery hardware. WSU made a wise choice in picking our Eclipse light and sound-blocking curtains and our 84004 Ball Bearing Carrier Curtain Track. The Eclipse curtain is a durable, flame retardant panel available in several different lengths, and features a triple thick 1.5 inch header reinforced with a middle layer of nylon mesh. Hems and seams are locked in with Safe-T-Stitching. The 84004 track is a strong aluminum architectural track that accommodates ball bearing carriers, and is available in 8-foot sections, but can be mounted end-to-end for wider applications.